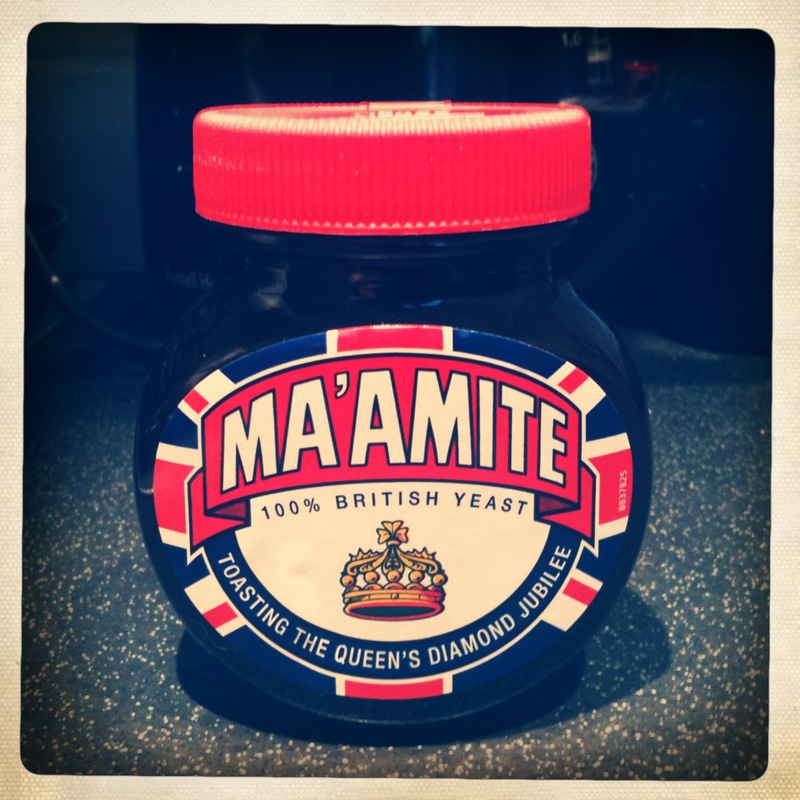 This entry was posted on 07/05/2012 at 8:34 pm and is filed under English food, Gifts, Savoury with tags Baking, Food, Jubilee, Ma'amite, Marmite. You can follow any responses to this entry through the RSS 2.0 feed. You can leave a response, or trackback from your own site. why is this maamite product thinner than the norm rather runny? Yeah, it does seem a bit runnier. I have no idea why!